With the advent of digital photography, the option for printing images on canvas has become easier and more accessible. Canvas has long been associated with fine art, but now it lends an air of class and personality to digital photos displayed in homes and businesses. The products available at our Los Angeles same day canvas printing services make impressive decorations that are bound to be appreciated by those who view or receive them. Here is a deeper look at this service, its benefits and the canvas printing options we offer. Virtually everyone enjoys a beautiful photo, and canvas printing accentuates the best qualities of images for display in any setting. A photo printed on canvas is easily distinguished from one printed on poster paper. While both can appeal to the eye, the canvas image gives a clearer impression of quality and provides a more professional atmosphere. Compared to paper, canvas is also more durable. With our same day canvas printing in Los Angeles, area consumers and companies can ensure that their photos will continue to look fantastic for years to come. The texture of the canvas is easy to spot and creates a more interesting appearance, also. Finally, canvas images are simple to place in the frames chosen by customers. 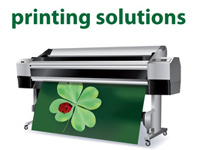 Our Los Angeles same day canvas printing services uses cutting-edge equipment with materials of superior quality. We often print images off of computer storage devices, but we can also scan existing photographs and enlarge them for printing on canvas. A wide range of sizes and color options are available to choose from, as well. With modification by our graphic design team, photos can be enhanced with a variety of effects that will complement their display on canvas. Every customer who visits our print office for same day canvas printing in Los Angeles will receive personalized service to ensure that their images meet their aesthetic goals. Canvas photo prints make cherished gifts for friends, family and business partners or fancy embellishments for any environment. For professional photographers, printing on canvas can potentially boost the value of their images. 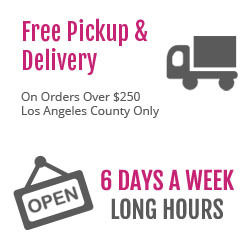 Area customers can contact our same day printing service in Los Angeles online or by phone to discuss our canvas printing options.